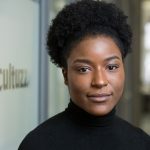 Loretta Etwi is the Marketing Manager at Cultuzz Digital Media. Alongside working at the company she is an international business student at the Europa University Viadrina in Frankfurt with focus on Online Marketing & Management. Her main duty is to focus on the practical application and management of the companies marketing operations.